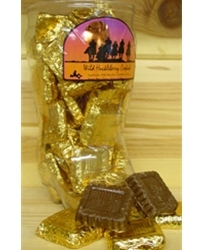 Our 8 oz cowboy bark is a rich blend of milk chocolate, toffee and almonds. 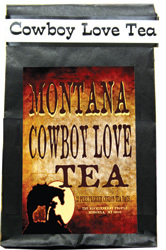 Our cowboy boxes contains a delicious assortment of huckleberry bark, assorted nut cups, almond square, and assorted cordials. Available in 3 sizes: 6 pieces, 15 pieces, and 24 pieces.